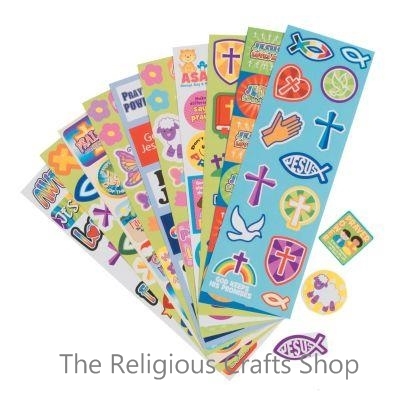 Christian Sticker Sheet - These sheets are an essential for Sundays Schools and schools. Sheets measure 15cm by 5cm and have between 12 and 18 stickers. A random selection will be sent but, if you request a particular sheet, we are happy to oblige.